WaPo reporter failed to do minimum journalistic investigation that would reveal that a top EU lab and a top HI document examiner declared White House BC a forgery. How long will it take for AG Sessions and GOP Congress to take action? "According to Zullo, the certificate released by the White House in 2011 appears to be a 'created' document that sources an official Hawaiian birth certificate belonging to a Johana Ah'nee." funny he would bring that up!!!!!!!!!!/???????????????? Let’s sum up what’s about to happen here. Flake will run 3d party to throw the Senate seat to the democrats. He really is a flake and a pig. I despise this bum. The birth of "birthism" lays directly at the feet of her highness HILDEBEAST's attorney Philip J. Berg. Google - Pennsylvanias former deputy attorney general and Sen. Hillary Rodham Clinton supporter Philip J. Berg has filed a lawsuit in federal court in Pennsylvania accusing presumptive Democratic presidential candidate Sen. Barack Obama of lying about his U.S. citizenship, which would make him ineligible to be president. The Vince Foster “suicide note” was declared a forgery as well. America’s domestic enemies are rarely brought to justice. What really is “particularly ugly” is that Barack Obama used a phony SS number since he was a teen. The only reason to do so is because YOU CANT GET A REAL ONE. And no one in the enemedia ever asked about this in 10 years. WHY DID OBAMA ONLY USE FAKE SOCIAL SECURITY NUMBERS??? Obama’s book said he was born in Kenya. But the real issue is the pos Flake. This is what we have for republicans. WaPo fails at journalism again, failing to find Arpaio’s recent presser and vet Arpaio’s two solid sources for his claims that Barry’s BC was forged and came from a specific source. “Birtherism” started when BHO provided published biographic summaries describing him as “born in Kenya”. Either those were true, and he’s not eligible for POTUS, or those were false, confirming him as a high-order liar not worthy of POTUS - either way the question had to be asked. Alas, he BSed his way thru the issue, and survived 2 terms. This should bring out a few live ones. Lol. Maybe someone can explain the job of senator to him. It is not to promote books and attack the president. Right now the job includes fixing big problems like health care, immigration, and taxes. Being a part of the solutions to those problems won’t help in a quest for being president as much as books and attacks on the president. But fixing those things it a senator’s job. And solutions are less likely when senators spend their time making money on books, promoting themselves, and attacking the president. Note the reference to Natural Law in the first sentence of our Declaration of Independence. It is crystal clear that the Founding Fathers used the Natural Law definition of 'natural born Citizen' when they wrote Article II. By invoking "The Laws of Nature and Nature's God" the 56 signers of the Declaration incorporated a legal standard of freedom into the forms of government that would follow. President John Quincy Adams, writing in 1839, looked back at the founding period and recognized the true meaning of the Declaration's reliance on the "Laws of Nature and of Nature's God." He observed that the American people's "charter was the Declaration of Independence. Their rights, the natural rights of mankind. Their government, such as should be instituted by the people, under the solemn mutual pledges of perpetual union, founded on the self-evident truth's proclaimed in the Declaration." The Supreme Court of the United States has never applied the term natural born citizen to any other category than those born in the country of parents who are citizens thereof. MINOR V. HAPPERSETT IS BINDING PRECEDENT AS TO THE CONSTITUTIONAL DEFINITION OF A NATURAL BORN CITIZEN. "The citizenship of no man could be previous to the declaration of independence, and, as a natural right, belongs to none but those who have been born of citizens since the 4th of July, 1776. "....David Ramsay, 1789. Vattel, who, though not very full to this point, is more explicit and more satisfactory on it than any other whose work has fallen into my hands, says: The citizens are the members of the civil society; bound to this society by certain duties, and subject to its authority, they equally participate in its advantages. The natives or indigenes are those born in the country of parents who are citizens. Society not being able to subsist and to perpetuate itself but by the children of the citizens, those children naturally follow the condition of their fathers, and succeed to all their rights. The citizens are the members of the civil society; bound to this society by certain duties, and subject to its authority, they equally participate in its advantages. The natives, or natural-born citizens, are those born in the country, of parents who are citizens. As society cannot perpetuate itself otherwise than by the children of the citizens, those children naturally follow the condition of their parents, and succeed to all their rights.' Again: 'I say, to be of the country, it is necessary to be born of a person who is a citizen; for if he be born there of a foreigner, it will be only the place of his birth, and not his country. . . . The Constitution does not in words say who shall be natural-born citizens. Resort must be had elsewhere to ascertain that. At common law, with the nomenclature of which the framers of the Constitution were familiar, it was never doubted that all children born in a country of parents who were its citizens became themselves, upon their birth, citizens also. These were natives or natural-born citizens, as distinguished from aliens or foreigners. Some authorities go further and include as citizens children born within the jurisdiction without reference to the citizenship of their parents. As to this class there have been doubts, but never as to the first. At common law, with the nomenclature of which the framers of the Constitution were familiar, it was never doubted that all children, born in a country of parents who were its citizens, became themselves, upon their birth, citizens also. These were natives, or natural-born citizens, as distinguished from aliens or foreigners. But the Secretary of State, according to the allegation of the bill of complaint, had refused to issue a passport to Miss Elg 'solely on the ground that she had lost her native born American citizenship.' The court below, properly recognizing the existence of an actual controversy with the defendants [307 U.S. 325, 350] (Aetna Life Ins. Co. v. Haworth, 300 U.S. 227 , 57 S.Ct. 461, 108 A.L.R. 1000), declared Miss Elg 'to be a natural born citizen of the United States' (99 F.2d 414) and we think that the decree should include the Secretary of State as well as the other defendants. The decree in that sense would in no way interfere with the exercise of the Secretary's discretion with respect to the issue of a passport but would simply preclude the denial of a passport on the sole ground that Miss Elg had lost her American citizenship." If there is extensive law written that covers election fraud, but it is impossible to enforce, or if a sufficient number of people agree that So-and-So is the President or Pope despite the law, how does that not utterly, completely destroy the entire notion of the Rule of Law itself? As I have said for years with regards to Obama, if you cant enforce Article II Section 1 Clause 5 of the Constitution, what can you enforce? Can you enforce the border? Can you enforce citizenship? Equal protection? Search and seizure? Right to bear arms? Can you enforce the law against treason? Theft? Murder? Trafficking in body parts? Religious persecution? Not much information exists on why the Third Congress (under the lead of James Madison and the approval of George Washington) deleted "natural born" from the Naturalization Act of 1790 when it passed the Naturalization Act of 1795. There is virtually no information on the subject because they probably realized that the First Congress committed errors when it passed the Naturalization Act of 1790 and did not want to create a record of the errors. It can be reasonably argued that Congress realized that under Article I, Section 8 of the Constitution, Congress is given the power to make uniform laws on naturalization and that this power did not include the power to decide who is included or excluded from being a presidential Article II "natural born Citizen." While Congress has passed throughout United States history many statutes declaring who shall be considered nationals and citizens of the United States at birth and thereby exempting such persons from having to be naturalized under naturalization laws, at no time except by way of the short-lived "natural born" phrase in Naturalization Act of 1790 did it ever declare these persons to be "natural born Citizens." The uniform definition of "natural born Citizen" was already provided by the law of nations and was already settled. The Framers therefore saw no need nor did they give Congress the power to tinker with that definition. Believing that Congress was highly vulnerable to foreign influence and intrigue, the Framers, who wanted to keep such influence out of the presidency, did not trust Congress when it came to who would be President, and would not have given Congress the power to decide who shall be President by allowing it to define what an Article II "natural born Citizen " is. Watch: Mark Levin declares Ted Cruz a "Naturalized Citizen"
You may also disagree with binding precedent regarding the meaning of "natural born citizen" as established in Minor. But in our system, the Constitution, and the Supreme Court's interpretation of it, are the "supreme law of the land." 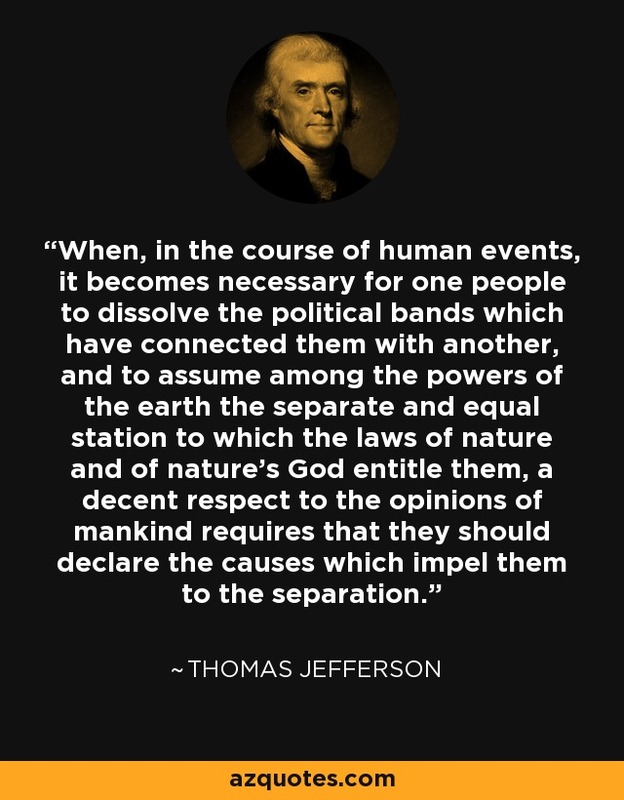 And if one faction gets to disregard the Constitution and/or the Supreme Court because they disagree, then that sets a precedent where all other factions can do the same. BTW, Hillary and “Sid Vicious” started the birther movement. Flake and McCain are two sides of a counterfeit coin. McMullen ran as a spoiler candidate. Didn’t work out so well.